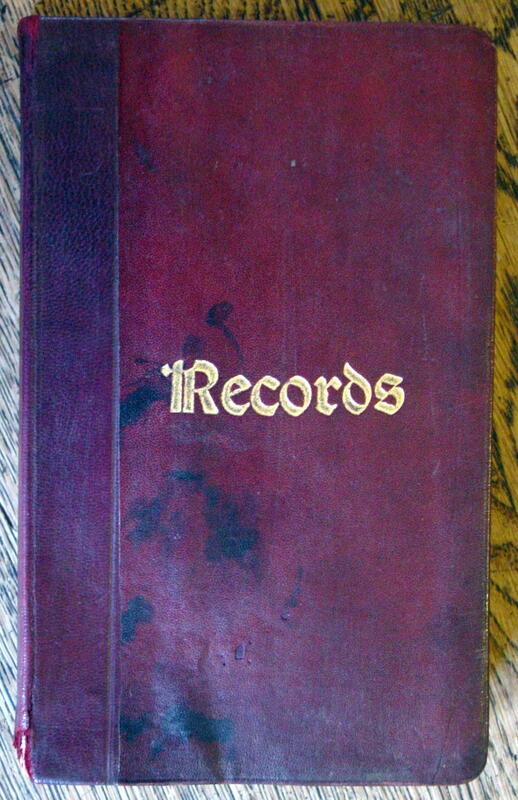 In 1926, Edgar Vernon Christian (1908-1927) bought a small, red, leather bound notebook in a Canadian shop before he set out on a trek with his two friends into the desolate north. His intention was to keep a diary to impress his family and friends when he returned home. 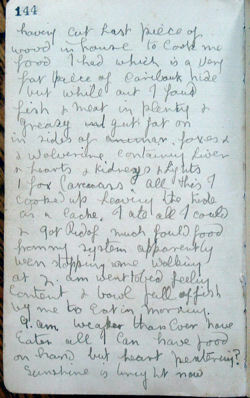 In fact, the diary was to make a lasting impression across the globe and is now housed at Dover College. Although Edgar was born in Wellingborough, Northamptonshire and his parents lived in Wales, the 17 year-old had spent most of his life in East Kent. . First as a pupil in Folkestone then Dover College, where he had spent the previous five terms. He did not make much of an impression and on leaving had nothing planned. He therefore accepted the invitation of his mother’s cousin, Jack Hornby, who was 46, to go on an expedition to northern Canada. Hornby was an experienced explorer of the wilds of Canada and his intention was a trek through the North West Territories to the Thelon River. He believed that by setting off in late spring, they would reach the Barren Lands, through which the Thelon River flowed, at the same time, as caribou would be migrating through the same area. Hornby expected that they could kill sufficient to last through the harsh winter so they only needed to take the minimum of supplies. Hornby was nicknamed the ‘hermit of the north’ because of his ability to survive on what the harsh terrain provided. Before leaving, the trio met up with Guy Blanchet, a government surveyor, who strenuously advised them not to make the journey. As summer was fast approaching, he particularly questioned Hornby’s belief that they could make the Barren Ground at the same time as the caribou. Blanchet did suggest that Edgar and Hornby could join him on a trek to the Thelon River area but refused to take Adler. The offer was declined. 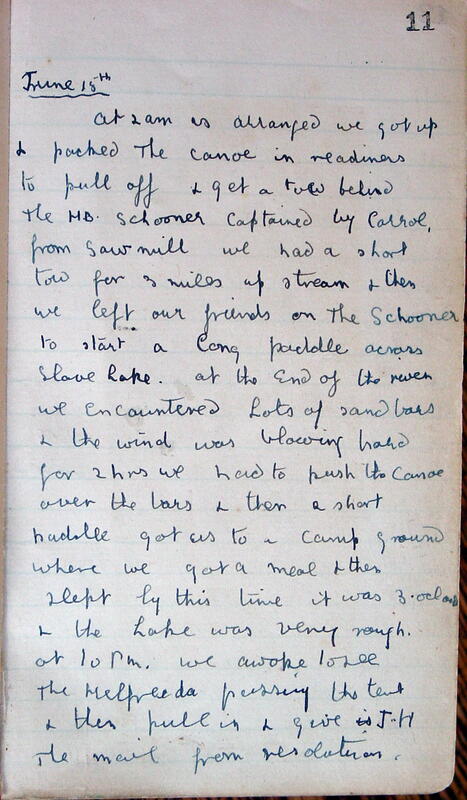 It was summer before they set off and Edgar started his diary. At first, his entries were irregular but when they reached the junction of the Thelon and Hanbury rivers in the North West Territories, the entries became more frequent. From these it is apparent that their meandering was slow and that they arrived too late for the caribou. Winter was closing in when exhausted and hungry they found a log cabin and decided to sit out the harsh winter there surviving on what they caught. The date was 14 October 1926. As the temperature dropped food became increasingly scarce. Adlard withdrew into himself and hardly spoke then would explode into a rage. Edgar wrote that, ‘Jack had to curse Harold’ to stop him. It is evident that a deep bond had developed between Edgar and Hornby and that Adler was the, ‘odd man out’. 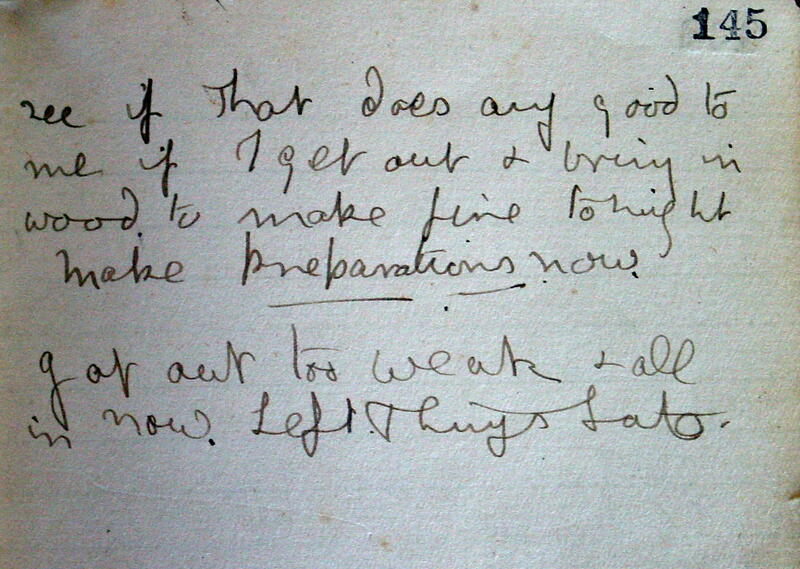 Hornby died of starvation on 16 April 1927 and Edgar, in his diary, tells us that Adler was a great comfort to him. He died on 4 May, and Edgar, very weak and only hours to live, put his diary with some letters that he had written to his father, in the cabin’s stove. He then wrote a note that he held in his hand, pulled his blankets over his head and went to sleep. Three years later, their emaciated bodies were discovered and Edgar’s note, which was hardly decipherable, was found. It said, ‘Who … look in stove’. Edgar’s diary was found along with letters that were eventually returned to his family who gave the diary to Dover College. The three men are buried by the Thelon River in an area that is now the Thelon Wildlife Sanctuary – the largest wilderness in North America. This entry was posted in Christian Edgar and the Exploration of the outback of Canada, People. Bookmark the permalink.